The GR3 smartphones will soon be launched by Huawei. According to an official statement by Huawei, the mobile will be launched here in March 2016 while it is a midrange smartphone. Rs. 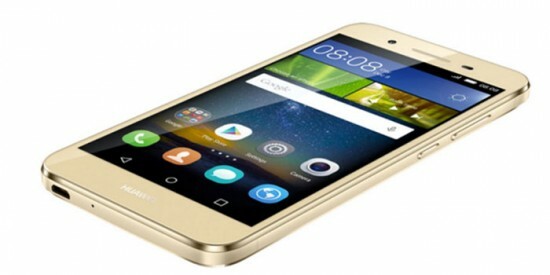 24,900 will be the price of this Huawei GR3 (or Tango). As compared to phones of other companies present in the market with same specification, the GR3 can be termed as an affordable smartphone. The quality and shine of the Huawei GR3 is due to its aircraft-graded aluminum alloy unibody. The thickness of the phone is 7.6mm and it has finely folded edge linings. Gold, Silver and Gray are the three colors in which the Huawei GR3 will be available. It is a light phone as its weight is only 135 grams. 5” 720p display is the screen of Huawei GR3’s display which has the capabilities of good color reproduction. The screen design of the phone is quite efficient due to its feature of 68% screen to body ratio. Huawei GR3 has 13 MP high resolution main camera for photography while it can work impressive in low light due to its photosensitive area of 1/3.06 and BSI sensor. The GR3 also has a 5MP front camera for selfies. It is expected that Rs. 29,400 will be the price of Huawei GR3 in Pakistani market that will be released in the end of March 2016. The Mate8 by Huawei proved to be a success recently and now it will be seen how this mid-range phone by Huawei will perform in the Pakistani market.